When looking for a present for sports fans, there is a convenient way of getting something that they will really appreciate. Sports Gift Baskets are full of fun items for the sports lover to practice his or her sport or to sit at home and watch from the sofa. Most of them involve tasty snacks. After all, no-one wants to interrupt an exciting game by having to go into the kitchen and cook something! 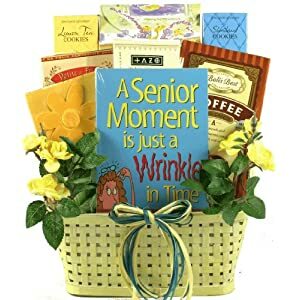 The baskets also make terrific corporate gifts. The Sports Fan Gourmet Snacks basket provides a bit of style with apple cinnamon cookies, pretzels, sausage and black bean tortilla chips. The Football Fanatic includes sausages, popcorn, peanuts and salsa. Some Sports Gift Baskets are for fans of specific teams in baseball, football, basketball and ice hockey. The Home Town Heroes basket comes in two versions with a choice of mini lunch boxes for the Mets or the Yankees. The boxes are packed with baseball trivia fortune cookies, a wooden baseball bat pen, a souvenir baseball and cookies. Golf is immensely popular of course and golf related Sports Gift Baskets are both practical and fun. The Golfing Around basket has a golf shaped ice cooler, practice balls, golf tees and snacks. The Ace Putter Set is ideal for someone that wants to get some secret practice in, at home or in the hotel room. The set comes in a smart, wooden travel case and contains a four piece travel putter, two golf balls and a metal practice cup. Fishing too is a favorite pastime and long mornings at the side of a river in the wind and rain can be cheered by Sports Gift Baskets. If the catch is small, at least there are the snacks to look forward to! The Fisherman's Fishing Creel is a rustic looking woven basket with a leather strap and contains lots of treats, including sausage, pretzels and cheese wedges. There are sweet things too and include fruit gems and caramels. The fish are not forgotten and they have gummi worms for bait. The basket also contains a fishing book and a fishing cooler cup. If it's a good day, there is a photo frame for that photograph of the proud fisherman with his catch and a ruler to measure the fish with. The Gone Fishing Gift comes in a wooden box and has a Gone Fishing teddy bear, roasted almonds, cheese sticks, coffee, antique watering can and a book on fishing. Racing fans are not forgotten and there is a NASCAR Racing Lovers Gift Chest, which has an ice cooler, cooler cup, a book on the history of stock car racing, a NASCAR racing pad and pen and an adjustable NASCAR hat. Of course there are snacks, including pistachios, candy, crackers and cheese.